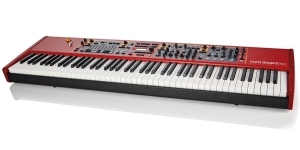 Nord Stage 2 EX was created by Clavia with due attention to its stage advantages. The instrument is filled equally with all kinds of key sounds: from organ and piano to synthesizer, offering to change the basic settings of each of them within a separate section on the front panel. Plus, there’s an individual block of effects settings - just what you need for live performances. 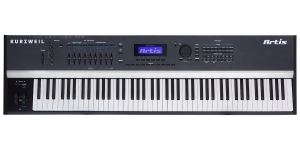 Stage 2 EX 88 has a 7-octave keyboard with full-weighted keys, produced by the Italian company Fatar, but with settings according to Nord requirements. 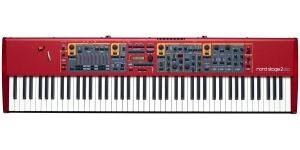 If you are a professional pianist, this keyboard will seem insufficiently authentic compared to, for example, Kawai MP8 or MP11, but if you are a multi-instrumentalist, you will appreciate its compromise on settings. The piano section with memory up to 1 GB is filled with sounds of various sampling technologies, for example, Advanced String Resonance, which reflects the real interactivity of the piano strings resonating with each other. Such technologies allow each piano in Stage to have somehow unique character of the sound and to open a range of each note of instruments. 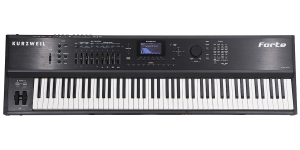 The 76-note Stage 2 EX HP76 has the effect of an ultra-light virtual hammer mechanics that makes the keyboard extremely responsive and velocity sensitive, along with a decent piano sound set and a sustain pedal connected, proving the suitability for live performance. 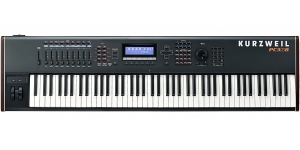 By the way, the same keyboard is used in the models of the stage piano Electro 3/4 HP and Piano 2 HP. For organ sounds carefully designed control of effects and percussion is offered, and the B3 Tone Wheel and rotary speakers were modeled in detail, including Vox and Farfisa simulations. Nord's persistent competition in the sector of organ emulators is obvious in the section of organ sounds that seem to have been created with a special attitude: from jazz to church ones. In real time mode effects and digital drawbars will help you immerse yourself in processing the sound stream correcting patches the way you like. 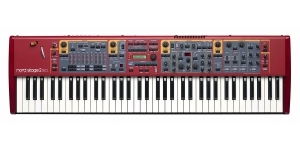 The synth-part also has its own control area and traditionally represent an oscillator, filter and amplifier sections, including the arpeggiator. 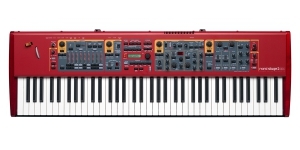 Nord’s virtual analogue engine is complemented by frequency modulation and wavetable synthesis. 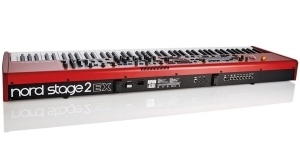 Thus Stage 2 EX features quality effects for each of the three voice sections (with the layering ability of any two of them and adding a delay, compression and reverb), keyboard sounds - brisk and lively, even without the intervention of processing and professional but at the same time portable keyboard. 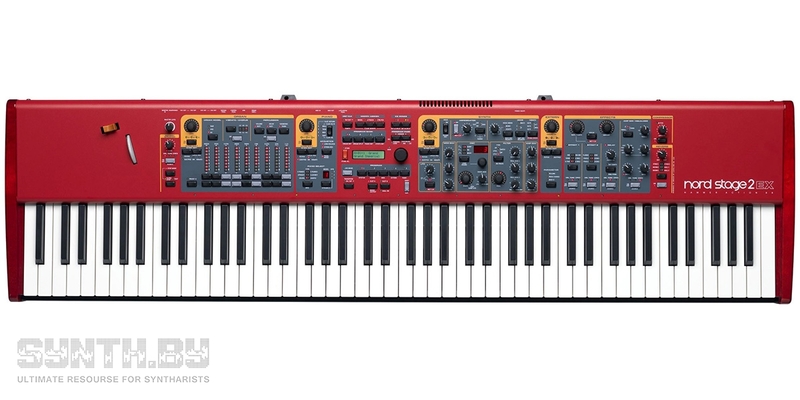 Synthesizer, Performance Synthesizer, Digital (D), Voices: 128, Multi Timbral Capacity: 16 part(s), Aftertouch, Velocity Sensitivity, Size: 7.5, Number of Keys: 88.